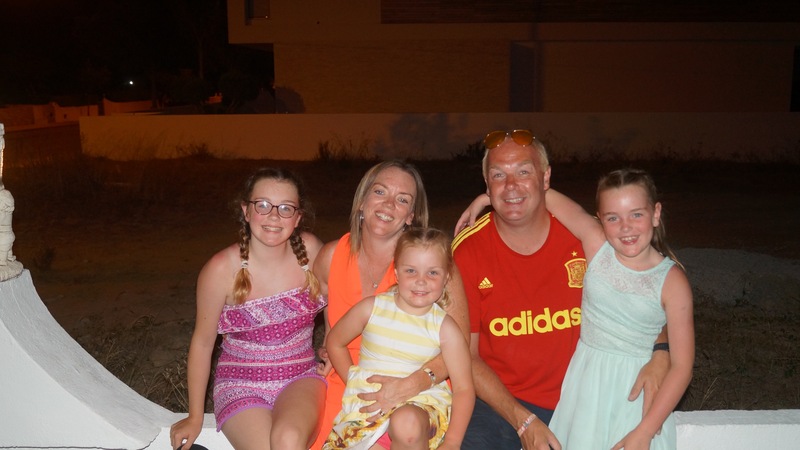 So here we are and the day after a week away with the Clampett’s The In-Laws and the venue was the lovely three in one villa called Villa Norca in Vale De Parra about 15 mins in cab away from Albufeira Old Town. (Click on picture for a larger version) The journey started last Saturday as we flew by Small Planet Airlines. Who you may say and as we checked on their it looked like the flight in from Corfu would be the flight out to Faro for us. It was showing a 3 hour delay but reading the news it was the same plane that was delayed for 38 hours (A record for Manchester Airport) STORY HERE this plane was now due in at 8am the next day eeeew ! My heart sank but to cut a long story short they had pulled a plane from Poland and we arrived about 3 hours late in Faro so just had a few Desperdos and a free Burger King for the delay. We eventually arrived at the villa after 12 but that didn’t stop the kids jumping in the pool and me and the missus having a beer with the rest of the in-laws who were already there. The rest of the holiday blurs into one long session of Sagres Beer but we did go the beach nearby one day and I soon realised that I don’t like the beach as it gets sand where I don’t like it and I did not have the bottle to parade in my newly bought Speedo’s. 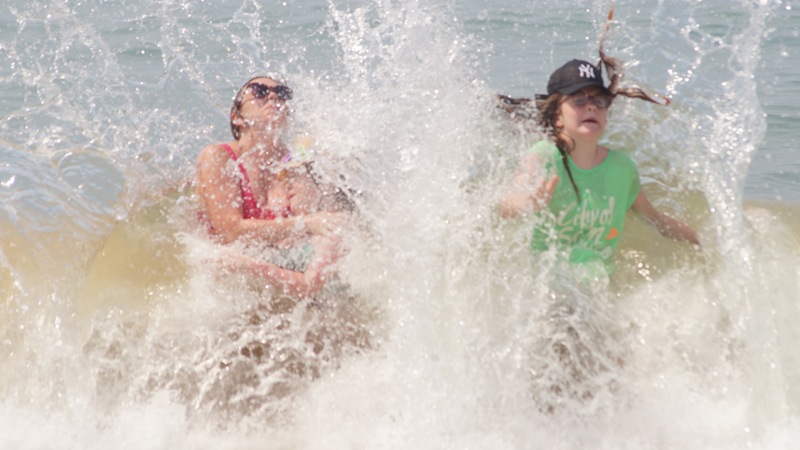 We did spend one day at the local water park which the kids enjoyed. I remember an evening at a restaurant which had suffered a power cut so we scoffed out food in candle light and in true scouse style negotiated a discount. My sister was also on holiday at the same time so I arranged to meet her in Albufeira Old Town and this was a lot livelier than expected but we did manage to meet up and have a scran and a few beers. By now the average bed time for me was 3am ( I was the only one of the adults who made it to the last gang up getting pissed 6/6 nights) Luckily I was doing loads of walking with my new Garmin watch to that offset the Sagres and the Speedo’s remained snug but comfortable. One memory of the holiday was a young nephew of mine getting locked in the toilet of a bar and trying to get out underneath the door with his little legs dangling out but no joy and his panic increased and the number of people trying to get him out increased his dad just said Ethan see that lock half way up the door above your eyesight unlock that. Problem solved and panic over but as it was an automatic lock in game the rest of the team had to give up a crystal as Ethan created his own version of The Crystal Maze. Speaking of games there was a table tennis table outside our apartment and we played all week until the last day until me and my brother in law (Geoff) had qualified for the olympic final first to 21 and best of five sets. With a built in Sagres break after every set Geoff went into the lead two sets to nil winning 23-21 and 21-19. He had announced some rule I had not heard of if you go six nil up or anything 11 and anything below 6 you win the set. I stormed back with a 6-0 start to make it two sets to one. hat was it and Geoff was rocked by this blow and I claimed the next two sets 11-5 11-5 to claim gold not that I am competitive or anything !!! The villa had wifi but it was dodgy though it was nice not to be a slave of the internet and phone as I normally am but we did have the odd wifi break which involved some of us walking the local pub for a pint of yes you guessed it Sagres and some quality wifi. One bar we frequented was The Cabanitas Bar in Vale De Parra. There was a small digital display which was showing a number and going up and down. None of us guessed what it was so we asked the owner who said it was a decimal reading. Well you know what happened next and despite only being on our third pint it was time for the olympic sport of who could get the highest decimal reading. Sadly the game didn’t last long as the bar owner pulled the plug from the equipment. It was a nice little bar on though with loads of sport, nice beer and free wifi and he even banged the olympics on for us so worth a visit if your ever in the area. For the record the highest was 91 decibels. With there being a curfew on our noise after the first night (Rumours of the Cabanitas Bar some 150m away from our house getting their highest decibel reading ever from our house party are yet to be confirmed) one post 2am session ended up with several adults lying in the dark next to the table tennis table for 15 mins. There was a reason as we were watching the Perseid’s meteor shower. It was well worth it as I spotted 8 meteors but had to call it a day as I reckon I would have fallen asleep pissed on the floor. 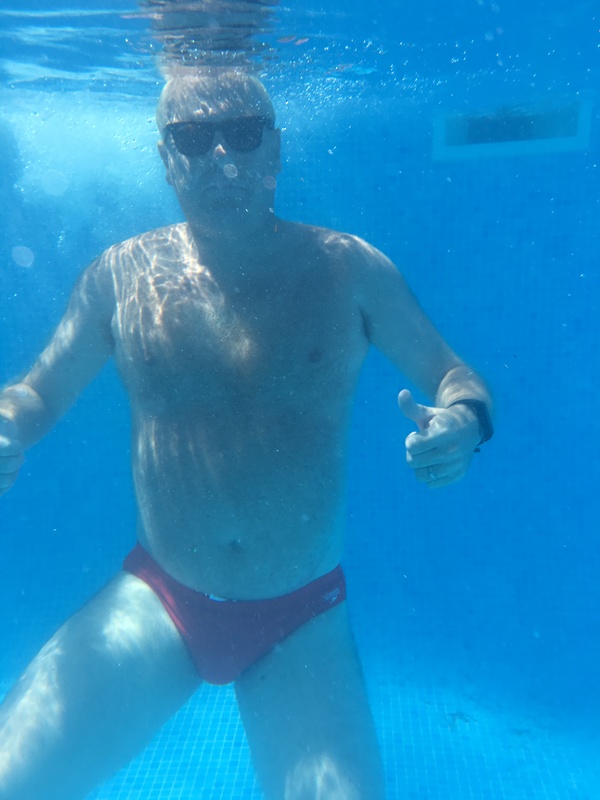 So with a last night party that involved a traditional boozed up brits award style jump in the pool fully clothed there was a last late night Speedo debut and that was that. They were actually very comfy to wear. 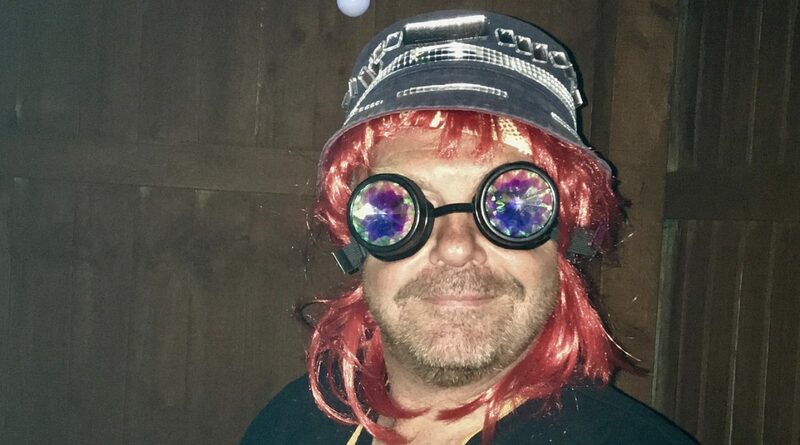 I could do with a bit more packaging in the front and I most probably looked like a fat version of Mr C from The Shamen as I had dyed my hair blonde (Whats left of it) just before the holiday but like the hair the Speedo’s were a joke and normal shorts and skinhead to be shortly resumed. 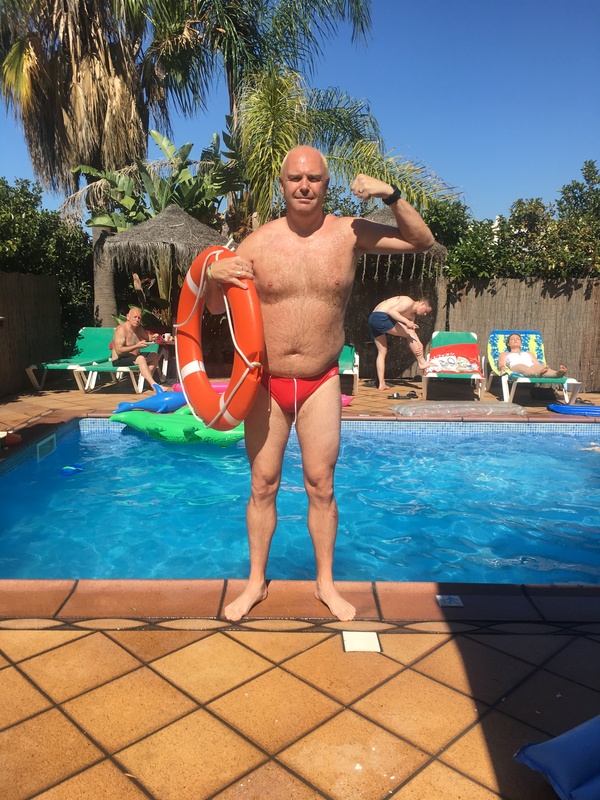 Back to normality with a bang and work tomorrow (Monday) and thanks to everybody who came on the holiday to make it collective fun (Most of the time ha ha) So I know you perverts have only come here for the gratuitous Speedo shot but there was no way I would be posting that. But I will post a picture of our hunk of a lifeguard (Mrs Fays words not mine) with a body to die for (or from) and lovely bleach blonde hair. He was a nice man as well and even let us take an underwater picture of him. Feel free to click on a picture for a larger version to print off to keep the kids away from the fire when it is on. I personally think he could get away being some kind go mythical creature from Greek Mythology. Bottom half athlete top half beer monster also known as The Beast Of Sagres. Oh and congratulations to Emma for setting the volume of vodka award in one night record. I wont bore you with all the pics (See Facebook for that) but here is a family pic and my fave pic.